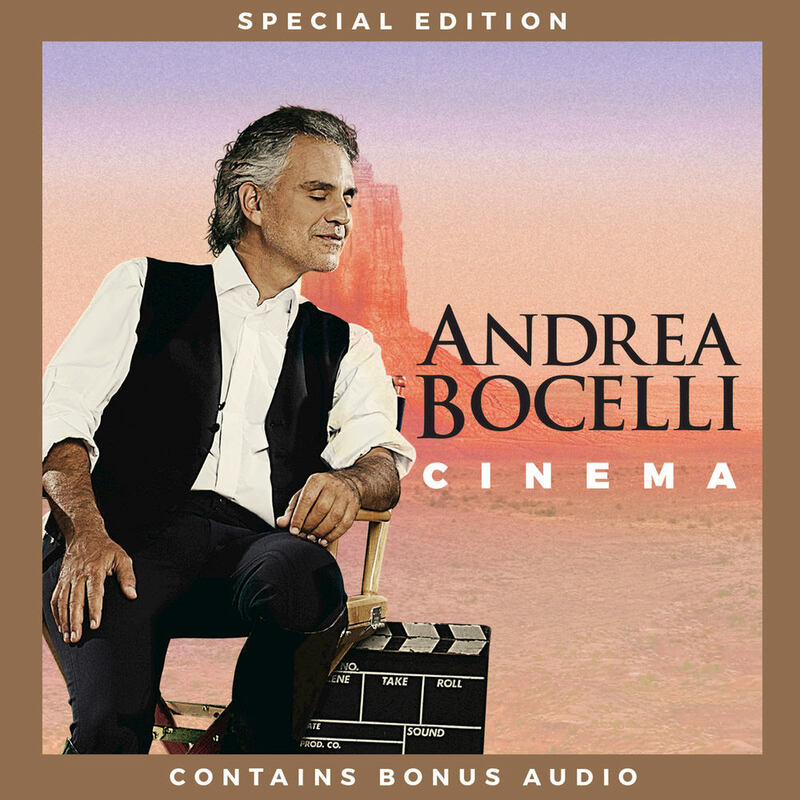 ‬"Album of the Week ... a classic ..."
Andrea Bocelli turns his attention to some of the greatest movie music ever composed on this collection, produced by David Foster to showcase Bocelli's unique voice on themes from Doctor Zhivago, The Godfather, Gladiator, Breakfast at Tiffany’s, West Side Story and Evita, among others. Bocelli sings in five languages and is joined by guests Ariana Grande and Nicole Scherzinger. This special edition adds three bonus tracks to the songs included on the previously released deluxe edition. "I’m fulfilling a wish that I’ve harboured for decades. I’ve never made a secret of my dream of bringing to life a recording project associated with soundtracks, as I truly believe that it’s an exceptional artistic treasure trove." Recorded live at The Dolby Theatre in Los Angeles, CA.